Dr. Rx: How can I avoid getting an infection while I am in the hospital? Q: I’m getting a procedure done at the hospital soon, and I’m afraid of getting an infection while I’m there. Is there anything I can do? A: Infections you can develop while inside hospitals or other medical settings — including doctors’ offices, rehab facilities or nursing homes — are called healthcare-associated infections, or HAIs. They could come from germs that enter your body at a surgical site or germs that travel on medical equipment such as a catheter or an IV line. There are many ways you can prevent HAIs. People using ventilators or recovering from surgeries have to take special precautions and should follow doctor’s orders. But below are some general recommendations to prevent HAIs while you are in the hospital. Sanitize your own hands often with soap and water, especially after using the bathroom. When coughing or sneezing, cover your mouth and nose with a tissue and throw away the tissue as soon as possible. Then wash your hands. Ensure that your doctors and nurses sanitize their hands before and after they leave your room. Also be sure they are wearing any necessary personal protective equipment such as gloves, gowns and/or masks while in your room. This is to protect you and them from HAIs. Don’t be afraid to speak up! Ensure that visitors sanitize their hands before and after they leave your room. Also, ensure they follow any special instructions from doctors and nurses while they visit you, which may include wearing gloves, gowns or masks. If you do need a catheter, ask your doctors and nurses why it is needed and when it will be removed. Your risk of getting a HAI increases with the number and duration of catheters placed into your body. If you think you have any of these symptoms, tell your doctors or nurses immediately. Having any of these symptoms does not necessarily mean you have a HAI, but if you do have a health-care-related infection you want to be treated for it as soon as possible in order to prevent further complications. If your doctor does determine that you have a HAI, he/she will likely prescribe you an antibiotic. However, be sure to take the antibiotic exactly as prescribed in order to prevent another HAI or an even worse one. Christian Ruiz is a third-year Pharm.D. student at VCU School of Pharmacy. He majored in chemistry and minored in music and biology at Virginia Commonwealth University. Upon graduation he currently hopes to pursue a career in emergency medicine, critical care or internal medicine. Dr. Rx is a monthly community-health column provided as a public service by VCU School of Pharmacy. It can be read in Fifty Plus magazine as well as online. Ask Dr. Rx: How can I avoid bone loss? Dr. Rx gives smart advice on how to avoid osteoporosis, or bone loss. The monthly Dr. Rx column appears in Fifty Plus magazine and is a community service of the VCU School of Pharmacy. Q: Osteoporosis is fairly common in my family. Is there anything I can do to prevent this from happening to me? I don’t want to have a fall and break a bone. A: Bones are living tissue and are constantly being remodeled. Osteoporosis occurs when bones lose more mass than they gain during the remodeling process. While genetics play a major role in the development of osteoporosis, there are steps you can take to prevent its development. Believe it or not, you don’t have to take any medications to build stronger bones. Instead, make some simple lifestyle changes you can begin today. For starters, ensure you’re getting proper nutrients by eating a diet rich in calcium, vitamin D, fruits, vegetables and protein. And avoid smoking and heavy alcohol intake as these can increase your risk of developing osteoporosis. Calcium: Postmenopausal women should consume 1,200 milligrams of calcium daily. For men, doctors recommend 1,000 milligrams of calcium daily for those 70 and younger and 1,200 milligrams a day for men older than 70. Milk and other dairy products are great sources of calcium. Your diet already may give you sufficient quantities of calcium, so speak with your doctor or pharmacist before starting a calcium supplement. Vitamin D: Your body’s vitamin D requirement is 600 international units daily for adults through age 70 and 800 daily if you are over 70. Ideally, this comes from your diet. Great sources of vitamin D include salmon, tuna, eggs and foods specifically fortified with vitamin D. If you’re concerned you aren’t getting enough, you should speak with your doctor before starting a supplement. Activity: It’s important to have an active lifestyle involving weight-bearing activities such as walking, jogging, hiking, tennis and dancing. These activities help your bones and muscles stay strong. Thirty minutes of exercise three to four times per week is recommended. However, everyone is different. Know your limits. Speak with your doctor to determine an exercise regimen that’s best for you. – Remove/minimize tripping hazards in your home, such as unnecessary rugs or furniture in high traffic areas. – Install grab rails and non-slip bath mats in the bathroom. – Make sure you have good lighting. – Speak with your doctor or pharmacist if you think one of your medications is making you dizzy or drowsy. These small changes could have a big impact on your health. If you feel these steps are not enough, have a conversation with your doctor or pharmacist about your risk for osteoporosis and other options available for your individualized needs. Kayla Sheets is a fourth-year Pharm.D. student at VCU School of Pharmacy. She majored in biology at The University of Virginia. Her areas of interest are internal medicine and critical care. Dr. Rx is a monthly publication of the VCU School of Pharmacy. It can be read in Fifty Plus magazine, available at many outlets in the Richmond area and online via Beacon Newspapers. To submit a question or to request more information, contact us. Apps can assist many people including older patients manage medications. Q: How can technology help me keep track of my medications? A: Nearly 50 percent of Americans over the age of 55 are on at least one prescription medication, with 12 percent of those over the age of 65 taking four or more. That is a lot to keep track of on a daily basis. No wonder about half of the 2 billion prescriptions filled each year are not taken correctly, according to Pharmacy Times. Luckily, there are ways we can use technology to reduce this problem. A lot of people use smartphone apps – for games, email or video chat, for example. Apps also can help you keep on top of your medications. Many of them are available for free. Apps for iPhones can be found on the iTunes store. If you have an Android device, you can search for apps on the Google Play Store. Once downloaded, these apps offer features you can use to manage both your prescriptions and over-the-counter medications. For starters, let’s discuss managing refills. The two largest retail pharmacy chains in the country – CVS and Walgreens – each offer an app available to smartphone and tablet owners that can be downloaded for free. These apps promise to let you refill prescriptions by choosing from a list of existing prescriptions or even scanning the barcodes on a medicine bottle – no phone calls required. The Walgreens app also offers a feature that gives reminders to take medications, no matter where you got them. 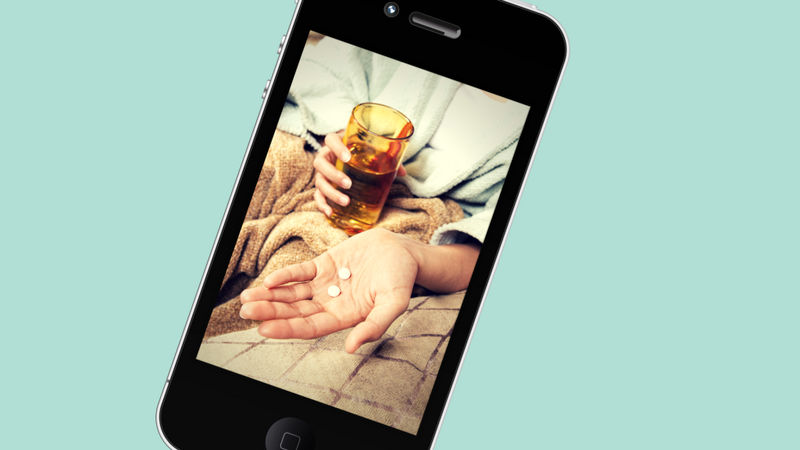 Other apps can help you stay on top of your regular medication regimen. One we like is Mango Health, an app that aims to make keeping track of your doses fun and rewarding. Users create fully customizable reminders for their daily regimens, and can earn points to enter weekly raffles for gift cards and charitable donations. The MediSafe Meds and Pills Reminder app is another free option that reminds users when to take medication. Also, it can track blood glucose, blood pressure and weight. The app, which uses a simple-to-understand design that looks like a pill box, can be synced with iPhone’s built-in Health app. With so many great apps out there, we encourage everyone to delve into the app stores and see what’s out there. There are many more well-reviewed apps available, including some from independent pharmacies. It is important to keep in mind that all healthcare-related technology should be used as tools to help supplement your care. Speaking regularly with your doctor and pharmacist remains the most vital aspect of medication management. Yasser Ali is a recent class of 2018 Pharm.D. graduate from the Virginia Commonwealth University School of Pharmacy. Ali is from Rochester, New York and is a 2014 graduate of the State University of New York at Buffalo, where he received a B.A. in chemistry. Q: My family doctor told me that I was at an increased risk of having a heart attack because I have a family history of heart disease. What can I do to reduce my risk? A: There are many lifestyle changes that can be made to help reduce your risk of heart disease. Diet and exercise will be your mainstays. You want to include plenty of fruits and vegetables, grains, and the healthy fats called omega-3 in your diet. You can find omega-3 in wild salmon and herring fish, shellfish, walnuts, canola oil and flaxseed. Fish-oil supplements containing omega-3 are also available. It is best to avoid salts, most fats, sweets and red meat — if you can’t avoid these foods, try to reduce your intake. The more variety in your diet, the better. Studies show that regular exercise for 30 to 60 minutes a day lowers blood sugar and blood pressure, boosts HDL (your good cholesterol), and can reduce blood clots, thus reducing heart disease. Walking is a great way to get exercise. Yoga and meditation can also help you relax and keep stress levels down. Being overweight can increase your risk for heart disease; these lifestyle changes can help you maintain a healthy weight. Getting enough sleep and good sleep hygiene is a component that is often neglected. Limited amount of sleep can raise your risk of high blood pressure, obesity, and diabetes, thus increasing your risk of heart disease. Most adults need seven to nine hours of sleep per night. Cigarette smoking can increase your risk by raising your blood pressure. If you are an avid smoker, the first step is to start thinking about quitting. Your doctor can set you up with a support group or medication that can help you quit. Limiting alcohol is also a benefit. Drinking too much alcohol can raise your blood pressure and adds extra calories, which may cause weight gain. Both raise your risk of heart disease. If you already have been diagnosed with high blood pressure, cholesterol and/or diabetes, it is important that you monitor and keep these under control. Make sure to always take your medications and check your blood pressure and/or blood sugar regularly. Report any changes to your doctor. High cholesterol can clog your arteries and raise your risk of heart attack or stroke. Taking cholesterol lowering medication, if prescribed, and diet and exercise changes can help keep cholesterol levels controlled. There are some factors — such as age, gender, race and ethnicity, and family history — that you cannot change but are good to be aware of. The risk of heart disease increases with age. Studies show that African Americans are more at risk than whites. East Asians have a lower risk while South Asians have a higher risk. Hispanics are among the least likely to have heart disease. Family history plays major role, especially if you have a family member who had it at an early age. Tabitha Robinson is a P4 Pharm.D. candidate at the Virginia Commonwealth University School of Pharmacy. Robinson is from Charles City, Virginia, and is a 2013 graduate of Virginia Commonwealth University. She holds a B.S in biology and a minor in chemistry.